The design of ancillary ligands used to modify the structural and reactivity properties of metal complexes has evolved into a rapidly expanding sub-discipline in inorganic and organometallic chemistry. Ancillary ligand design has figured directly in the discovery of new bonding motifs and stoichiometric reactivity, as well as in the development of new catalytic protocols that have had widespread positive impact on chemical synthesis on benchtop and industrial scales. 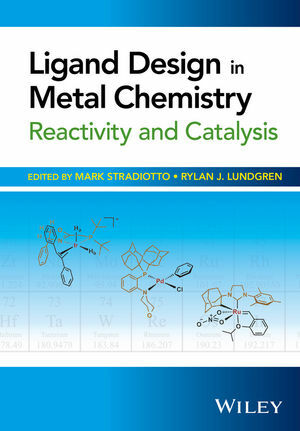 This book will be a valuable reference for academic researchers and industry practitioners working in the field of ligand design, as well as those who work in the many areas in which the impact of ancillary ligand design has proven significant, for example synthetic organic chemistry, catalysis, medicinal chemistry, polymer science and materials chemistry. Both professors have a well-established track-record of working in the field of organometallic ligand design and catalysis, and have published extensively on the subjects of metal-catalyzed cross-coupling, novel transition-metal bond activation, and asymmetric catalysis. They are co-inventors of the now commercialized DalPhos ligand family and have broad experience of the field of ligand design. Professor Stradiotto has worked in the field of organometallic chemistry for the past fourteen years. Professor Lundgren earned his PhD under the supervision of Prof Stradiotto at Dalhousie University in 2010. Following a PDF at MIT and Caltech with Prof. Greg Fu, Rylan accepted a faculty position at the University of Alberta (Canada).